Samsung Galaxy A8+ (2018) will mark the entry of Samsung's Infinity Display in the midrange segment. Samsung's Galaxy A-series lineup for 2018 has been in the news for some time now and we have already seen numerous leaks about the upcoming smartphones. The smartphones that are coming include Samsung Galaxy A8 (2018), Galaxy A7 (2018) and Galaxy A5 (2018). 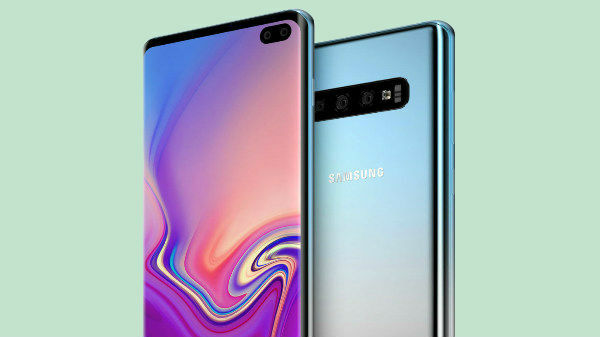 While we more or less have an idea of what these Samsung phones look like (through leaked renders) and what they are bringing to the table, there has been a new and interesting development regarding one of the smartphones. 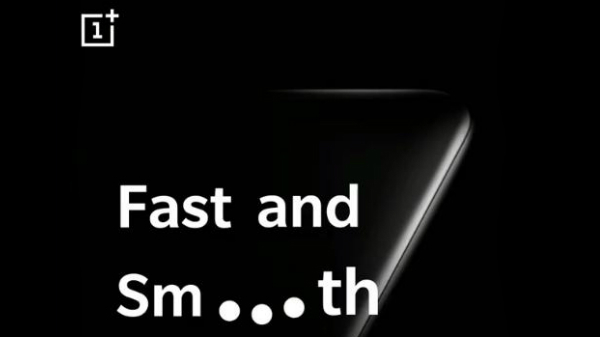 Well, one of the smartphones is getting a new name. The news comes from a recent photo leak that was posted on Weibo. The details given on the website reveal that the smartphone comes with model numbers SM-730. Now, this particularly hints at Galaxy A7 (2018) but with the new post, it looks like this model will arrive as the Galaxy A8+ (2018). In any case, Samsung Galaxy A8+ (2018) will mark the entry of Samsung's Infinity Display in the midrange segment. 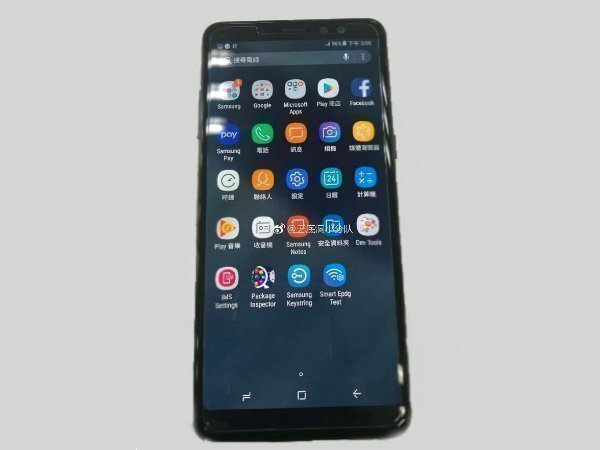 The image yet again confirms that the new 2018 Galaxy A8+ will feature a full-screen display. The fingerprint scanner will be placed on the back just below the camera. Besides it looks like bezel-less displays will be the new trend in most smartphones in 2018. What do you think of this upcoming device? Do let us know. 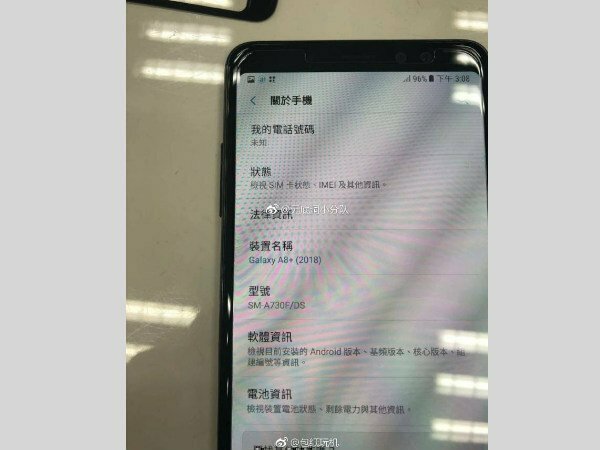 Meanwhile earlier leaked details reveal that the Galaxy A7 or Galaxy A8+ (2018) as it will be known now is said to come with 5.7-inch AMOLED bezel-less infinity display with 2160×1080 resolution and the 18:9 aspect ratio. The smartphone is expected to arrive with either Exynos 7885 or Snapdragon 630. This will basically depend on the market where the device will be launched. 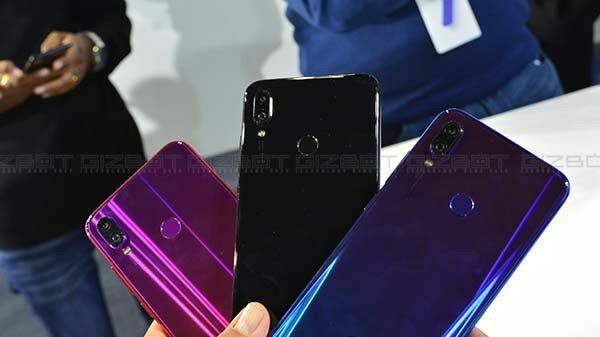 The handset is also expected to come in two variants which will include a 4GB RAM and 32GB of Storage variant and a 6GB RAM and 64GB of storage model. As for the cameras, Galaxy A7 (2018) is expected to come with a 16MP main rear camera and a 16MP front-facing sensor. Some of the other features include Android 7.1.1 running out the box, Bluetooth 4.2, NFC. The handset will most probably be backed by a 3600mAh battery.